Don’t worry, I intentionally write to rile your ego’s. 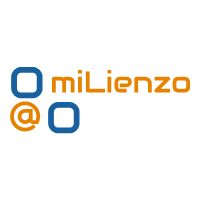 Actually I think designers are very talented people – especially the ones that read miLienzo.com – but there is an element of truth to what I say. It is human nature to absorb what we see and experience, and consequently be influenced by it. If I see a stunning design, I cant help but be inspired by it in some way. Sometimes this happens consciously, sometimes it happens subconsciously. Last week at work a design studio submitted a number of concepts for a flyer design I’d commissioned. We were happy with what they’d provided and picked one of the concepts. Later that week, whilst reading my copy of a popular weekly design magazine, I couldn’t help but notice the similarities between the front cover of the magazine and one of the concepts. The similarity wasn’t a distant, vague similarity – it was what I would class as blatant plagiarism. The colours were different and elements positioned slightly differently, but the concept was exactly the same. As it happened, we had chosen a different concept anyway, but I still phoned the designers up and gave them a piece of my mind. If we had unwittingly picked the copied idea, it wouldn’t have been them potentially accused of plagiarism, it would have been us. I wasn’t a happy chap. However, this goes on all the time doesn’t it? Ideas are constantly absorbed, regurgitated and recycled. Often the result is sufficiently abstracted from the original idea to call it inspiration; sometimes the result is a carbon copy of the original idea. So when does inspiration become plagiarism? Have you ever copied someone else’s idea (be honest)? How much of someone else’s idea can we use before it becomes a copy? We all look at sites like Logopond for ideas; is that inspiration or copying? And is there such a thing as an original idea? I realise I ask a lot of questions which have murky answers. Personally I think everyone is guilty of a bit of plagiarism, even if it occurs in the subconscious. I’m fascinated to see what designers consciously say about the matter. « What do you think of my NEW personal logo design?